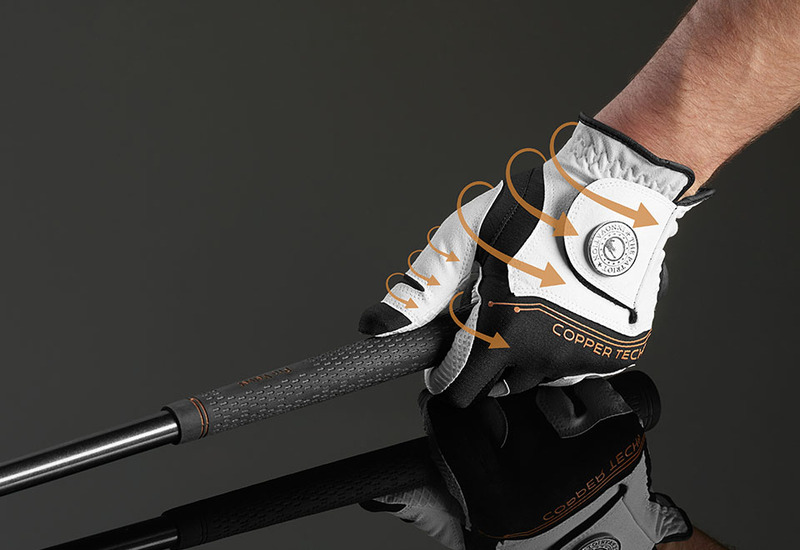 Pain Relief Golf Gloves use high-tech compression plus copper infusion to help soothe joint, muscle and arthritic pain. Made for both men and women, they’re like three gloves in one. First, they have form flex technology designed with a compression fit, so one size fits all. Second, they have a silicone spider weave palm, which reduces wear and allows the player to grip the club with a lighter touch and less slipping. Finally, the gloves’ copper-infused technology helps soothe joint and muscle pain while relieving pain in arthritic hands. They also wick away perspiration, so you can play comfortably all day. Includes 2 gloves (1 left, 1 right). Available in White. Choose Men’s (one size) or Women’s (one size). 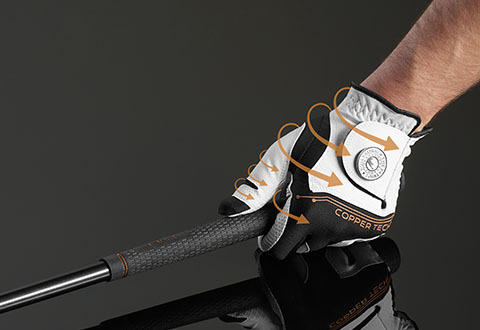 Pain Relief Golf Gloves use high-tech compression plus copper infusion to help soothe joint, muscle and arthritic pain.